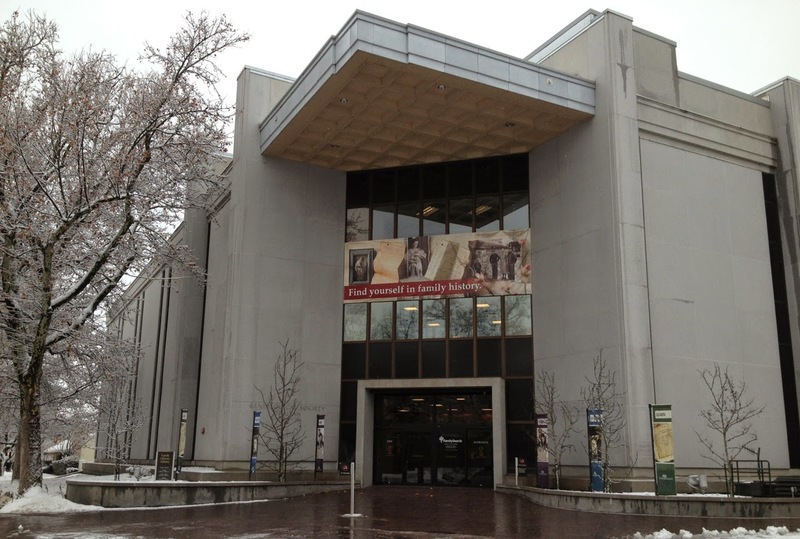 Are you planning your first research trip to the Family History Library (FHL) in Salt Lake City in conjunction with the upcoming 2015 FGS Conference and RootsTech, or the Salt Lake Institute of Genealogy? Wondering what’s the best way to prepare for it? I was in your shoes a few years ago. I vividly remember what it was like walking into the FHL for the first time, feeling a mix of awe and trepidation and thinking, “Holy schmoly! What have I gotten myself into?” So I’ve pulled together some tips that I hope will help you. A good place to start is Tips for Visiting the Library on the FamilySearch website. Another handy resource is Janet Hovorka's Quick Insider’s Guide to Salt Lake City, available as a free PDF download. 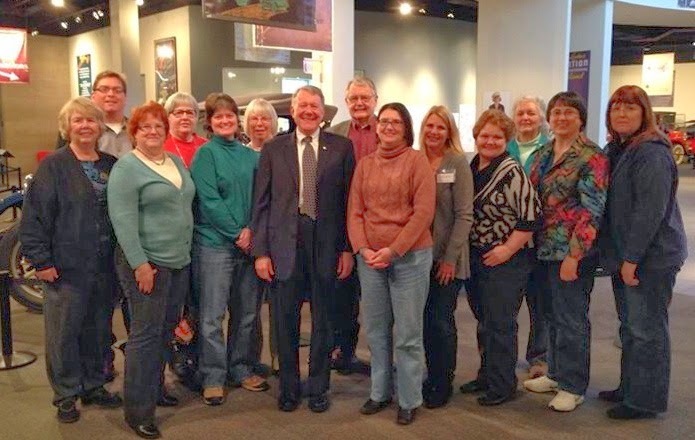 The FamilySearch blog recently posted "Exciting New Changes at the Family History Library." 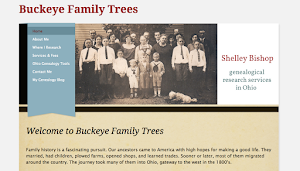 In addition, Kimberly Powell wrote a helpful article titled “Research at the Family History Library” for About.com. 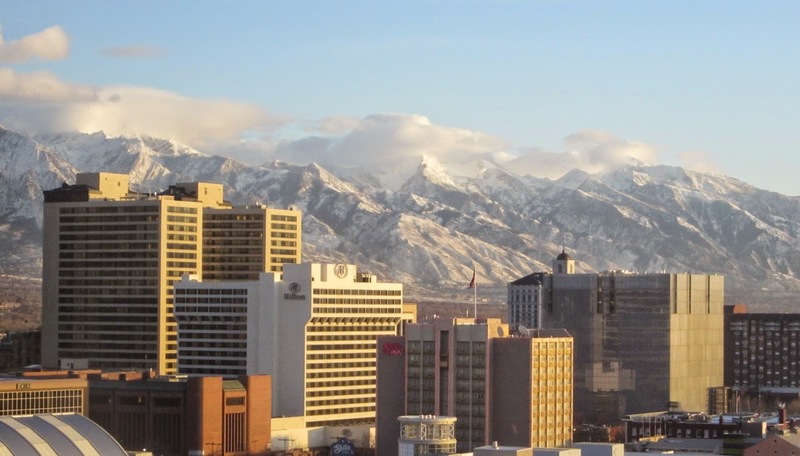 DearMyrtle offered her thoughts in “Visiting the FHLibrary in Salt Lake City.” Jill Ball recorded her impressions of her first visit on her blog, Geniaus. Likewise, Randy Seaver recalled his first visit on Genea-Musings. If you read these, you’ll notice a few common threads. One thing they all recommend is that you do some prep work at home before walking in the door of the Family History Library. Go the FamilySearch home page. From the Search tab, select Catalog. Enter the place where your ancestors lived, from largest body to smallest: country or nation, state or province, county or parish, town or city. (Example: United States, Pennsylvania, Lehigh, Allentown) As you're typing, the locality you want may pop up; go ahead and click on it. Keep in mind that you'll usually get more results by searching on the county only, without naming a town. Choose what you want to look at from the results (cemeteries, church records, vital records, etc.). Click on a title to see a particular resource. When you find one you want to check, either print out a copy to take with you or add it to a Word document, Excel spreadsheet, or electronic note-taking application like Evernote or Microsoft OneNote. Write a note about who or what you want to look for right there on your print-out, list, or spreadsheet, along with any pertinent details. (Example: “Look for John Eberhard/Mary Comfort marriage in Lehigh Co. around Dec. 1891.”) If there’s more than one microfilm listed, circle or highlight the one you need to get from the drawer in a bright color. Return to the Catalog home page and search by Surnames, repeating these steps. Organize resources by where you'll find them in the library. Since family history books, locality-based books, US/Canada microfilm, and international microfilm are on different floors of the library, it helps to know what you need to get on each floor. Make a master list of your highest priority items—those sources you want to be sure to look at. It's easy to lose track of time, and you don't want to forget to do something important. I make a list on Evernote, and print it as well so I can check things off as I do them. A laptop or tablet to check resources, take notes, and consult your genealogy database. You don't want to get there and waste time duplicating what you already have, or wondering how William Whatever fits into your family tree. Blank research logs to record your results and sources (here's one I like from Duane Bailey). I make myself write down the title, author, film number, and other citation elements before I open the book or crank the microfilm. Then I record the volume, page number, and details when I find something. If I don't find anything, I write "no record found" or a similar note. One or two USB flash drives. Try to buy the kind that you can attach a small keychain to. That way, if you accidentally leave the flash drive in one of the scanners (speaking from personal experience), you have a better chance of getting it back. A digital camera and spare battery. You can save time and money by taking pictures of books and articles rather than making copies. Some people take pictures of microfilm, too, to avoid lines at the scanners. Dollar bills for the copier, for those times when you want to print from a book or microfilm. Copies are only a nickel each. Reading glasses, if you use them, or a small magnifying glass. A pouch with pencils, pens, paper clips, small post-it tabs, and any other items you usually use, and a notepad to write on. Money, bottled water, and/or snack to eat in the snack room. Trust me, you'll get hungry, but it's soooo hard to tear yourself away. Chapstick. The air is dry in Salt Lake City. Some kind of tote, backpack, or rolling bag to put everything in. Lockers are available, but I usually carry my things around with me. That's about it. There's a short orientation film you can watch when you first arrive. As you're working, the volunteers and staff at the FHL will be more than happy to answer all the questions you ask, like where to find things, how to work the printers and scanners, and where the snack room is. You’ll be in good hands. My first visit to the FHL was both exhilarating and exhausting. I made some great discoveries—one of which I wrote about in “Striking Gold in Salt Lake City”—and found a lot of information about my ancestors. Here’s hoping that your first visit will be everything you've dreamed of! Thanks for the mention, Shelley. I can't wait to hit the FHL again this weekend. Anytime, Jill. Hope you have a good time and find lots of material. Great post, Shelley. I particularly second the recommendation to write down the specifics of what you are looking for - you think you'll remember but with so much hunting going on, it's easy to forget. I just had a fantasy -- what if we could click a button on a catalog entry and have it automatically formatted into an entry on a research log? Roots Magic (v5) has an interesting new Research Log tool - it turns items from your to-do list into entries on a log associated with that person, couple or family. That's a cool fantasy, Malissa. And that Research Log tool in Roots Magic 5 sounds very handy. It would make getting ready for a research trip easier. I use a Mac but I might try getting Roots Magic to run on my system with Crossover. Hearing about that tool gives me another incentive to try it. Thanks for the info! Thanks for the tips, Shelley. I'd hoped I was ready to hit the ground running and am happy to see that I've done most everything you suggest. Linda, I can't wait to hear about your experiences and what you find. You'll have to keep us posted on the methods you used to do this as a paperless research trip. Enjoy your time in SLC and happy hunting! Glad to hear you found it helpful! Best wishes for a fun and productive trip!